Are you graduating soon? We want to know about your experience with the Graduate Writing Initiative! Please, take a moment to give us your feedback. 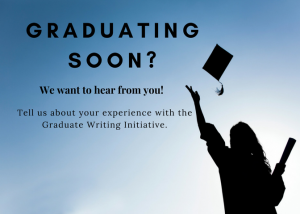 We really appreciate it, as this will help us in improving and growing the Graduate Writing Initiative. developing language to talk about writing. 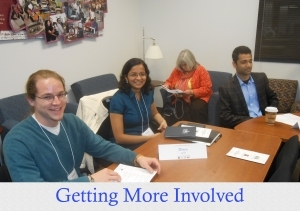 Connecting graduate writers with peers, aiding in socialization in the academic community, providing mentorship opportunities, and supporting graduate writers in securing and maintaining momentum. 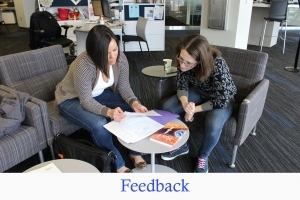 The UMKC Writing Studio, The School of Graduate Studies, UMKC Libraries, and faculty, staff and graduate writers from departments across campus collaborate to provide these resources. 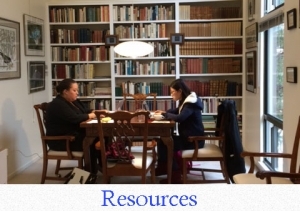 If you have any questions about the resources described here, contact the Graduate Writing Specialist, Dr. Jameelah Lang (langjj@umkc.edu). 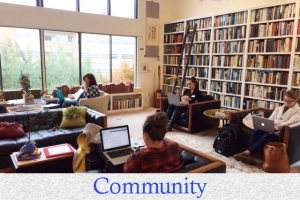 We offer support in a number of ways: Feedback, Community, and Resources.